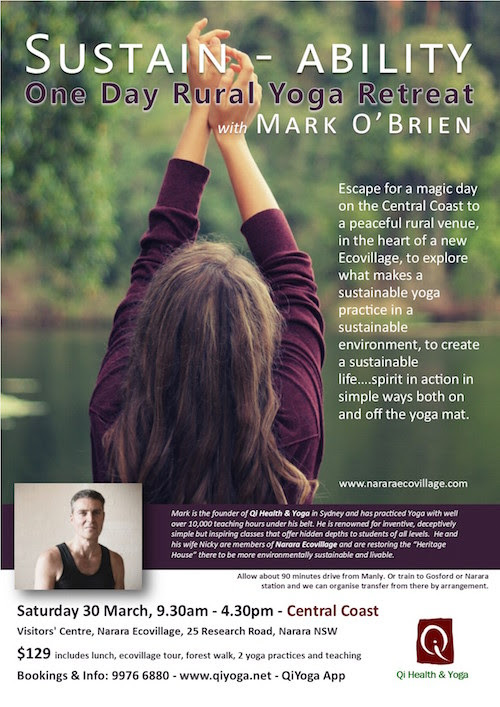 Escape to a beautiful rural venue in a new Ecovillage to explore what makes a sustainable yoga practice in a sustainable environment to create a sustainable life…spirit in action in simple ways both on and off the yoga mat. There’s a nice discount for NEV ($20) and for NELN members ($10). SUSTAIN-ability…in yoga and in life. Full details & contact HERE.